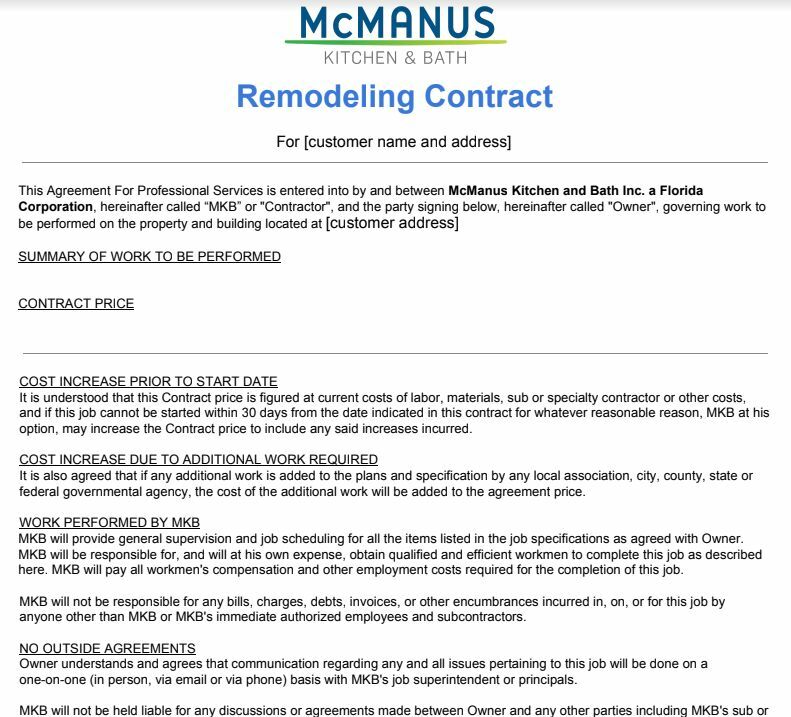 A remodeling contract is the document that guides the entire project. A well written, detailed contract is the first step in a successful project and eliminates miscommunication that can lead to problems down the road. 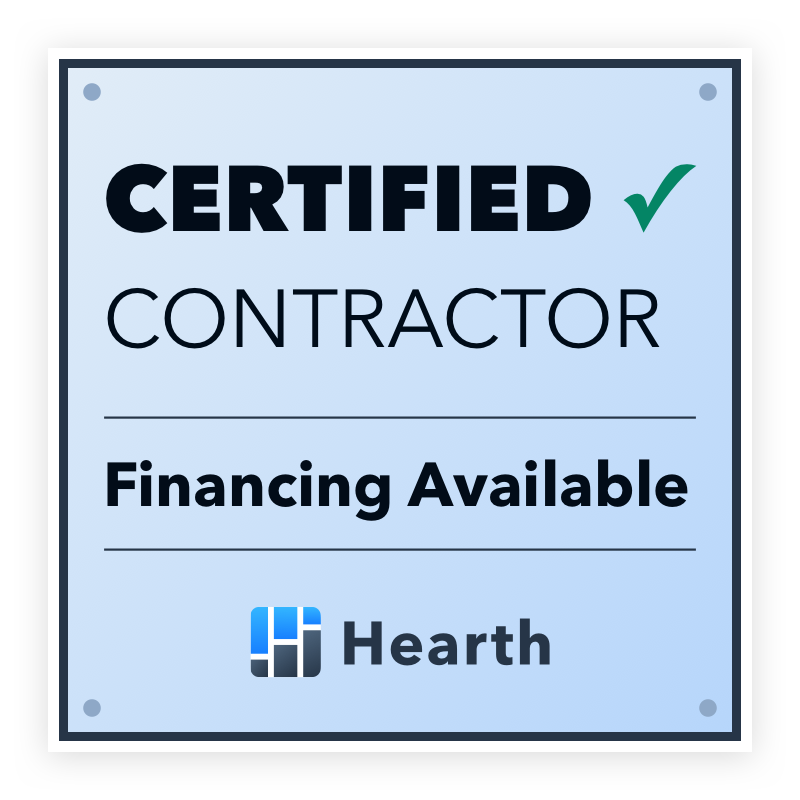 In this post I am going to outline the 9 basic part we include in each of our remodeling contracts for projects exceeding $2000. Some of the items are required by Florida Law, others are just a good idea to include. This is the third post in a series on choosing and evaluating a remodeling contractor. Read part one, choosing a contractor here and part two evaluating a contractor here. It should also include floor plans and 3D renderings of the project before and after the proposed work is performed. Licensed contractors are required to display their license number on promotional materials or vehicles that contain the company or contractor’s name on it. In addition, all communications between a contractor and an owner must have the contractor’s license number visible on the communication. Communications may include estimates, proposals, contracts, and invoices used in the practice of contracting. With remodeling, often their may be a clause regarding making repairs that were not covered in the original quote. This is fair but the process of how unexpected expenses should be outlined clearly. Change Orders are used to effect changes to the contract. 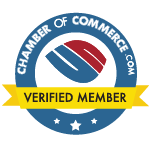 Make sure the change orders must be written and that your signature is required on all change orders over a certain dollar amount before work can be performed. Make sure it is outlined in the contact who will pay the subcontractor and when. The contract should also provide the contact information for each sub contractor and their license and insurance information. It’s not a bad idea to get a waiver of lien from your contractor for each payment that is made. The contract should outline when progress payments should be made. A good idea is to set progress payments to be made at the start of specific parts of the job rather than at the conclusion of a part of the job. It’s much easier to identify when a new phase of the project has started rather than when it has been completed. The contract should contain an outline of when the work will be performed including the start and finish date. Of course these dates may change but there should be a clear system outlined that notifies you of any changes quickly and clearly. As you can see, if all the appropriate clauses are included a remodeling contract can be quite lengthy. I rarely write contracts that are less the 4 pages and typically they are closer to 10 pages or more. I also make a point to schedule a meeting with each homeowner to review the contract, rather than just email it to them and expect them to read it all carefully. It’s important to thoroughly review the contract and make sure the homeowner understands and agrees with the work outlined in it. I hope you found this helpful, feel free to contact me with any questions or comments.